Leaving Austin Texas to begin my nomadic life I felt a sense of freedom and a little angst. What challenges would I face in my first weeks as a nomad? Did I have everything I needed? What did I forget to do, set up, cancel, transfer, etc? 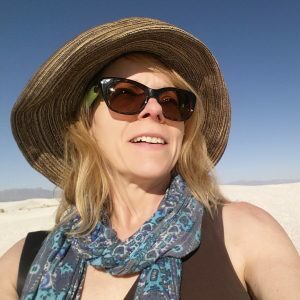 Would this nomadic life experiment turn into an exhilarating adventure or was I making the biggest mistake of my life – leaving my comfortable routine in Austin TX for a new location independent lifestyle? Uncertainty is my new travel companion, hitching a ride with me during my nomadic life. Uncertainty equals excitement, with a dose of anxiety. Arriving in the west Texas town of Alpine I located my Airbnb rental (click for free $40 Airbnb credit!) on the south side of the railroad tracks. The key in the door, I started unloading Yar-Yar (my 2009 Toyota Yaris) and settling into my new home for 9 days in Alpine TX. 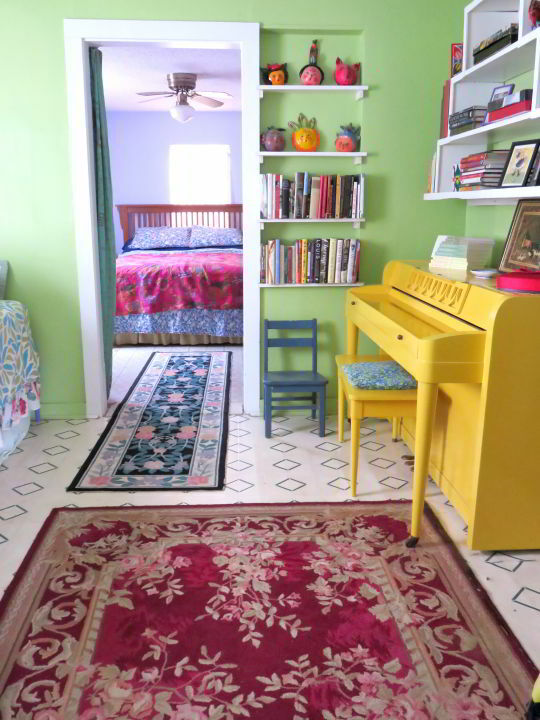 The place was just as pictured on the Airbnb site. The decor was colorful and welcoming. The kitchen was well equipped. There was plenty of room to set up my temporary office space. Chickens clucked in the coop at the back of the house. Before leaving Austin I visited some friends to say my goodbyes. Karen and I fell into a conversation about priorities and she said something about internet access being the number one thing in my hierarchy pyramid now. I hesitated to agree, thinking that other important aspects of my life such as safety, health, and comfortable living accommodations were certainly more important than internet access. After all I had purchased my T-Mobile hotspot to alleviate any problems with internet connectivity during my nomadic life. The Wi-Fi at my new Alpine TX was not working on the day I arrived. No problem, I used my hotspot. Until I couldn’t use my hotspot. Midway through my first morning of work as a digital nomad my internet access abruptly ceased. I had exceeded the 100 MB per month allotment for data roaming. While in Alpine TX, both my mobile phone and hotspot were on roaming mode with T-Mobile, their nearest tower over 100 miles away. No one mentioned a maximum of 100 MB of data while roaming when I purchased the hotspot from T-Mobile. I had informed them I would be utilizing it while road tripping around the USA and Canada. I knew there had to be a mistake so I contacted T-Mobile customer support. Evidently the mistake was entirely mine. The maximum T-Mobile could allot me was 250 MB of data roaming for the entire billing cycle. Suddenly Karen’s words hit home, internet was indeed number one on my hierarchy pyramid. But I had no internet. I could not check email and I could not work at all. My heart sunk, day one working remotely and I was spiraling towards failure. All my hard work, preparation, and careful planning became irrelevant. Commence freak out. I panicked. I yelled a lot of four-letter words. Then I cried. Really, I cried over internet access. Then I did some yoga. I calmed down. I told myself to explore ALL of the possible solutions instead focusing on the problem. My Airbnb host lived in the house next door and offered to let me sit in her kitchen to use her internet. Not a long-term solution but it could get me through the day. I researched other internet options as my Airbnb host contacted her internet provider for solutions to the Wi-Fi problem. Three days of discussions, phone calls, and consultations yielded no solutions. Finally, on Sunday afternoon, Jim The Computer Whisperer came to the rescue, solving the Wi-Fi problems. My first big mistakes were assuming that my Wi-Fi would work. Apparently I need to check with each Airbnb host, in advance of my stay, as to whether the Wi-Fi actually does function properly. The first week at my Tucson Arizona Airbnb location the internet failed to work on several occasions. The host resolved the problem and I now have proper internet. My second big mistake – assuming that T-Mobile had coverage in Alpine Texas.I have checked T-Mobile coverage for all the cities I plan to visit and all looks good. West Texas is no T-Mobile territory so keep that in mind if you plan to travel to the area. AT&T does have coverage in most areas of west Texas. I loved my visit to Alpine Texas and I am certain that I will return, with the knowledge that I cannot rely on a T-Mobile hot spot as my emergency internet provider. No worries, I made some new friends in Alpine and I am confident that someone would help me out if I experienced another Wi-Fi outage. Frustrations with internet access aside, my first few weeks of nomadic life have been an extraordinary experience. I finally visited Balmorhea State Park and swam in the San Solomon Springs pool. 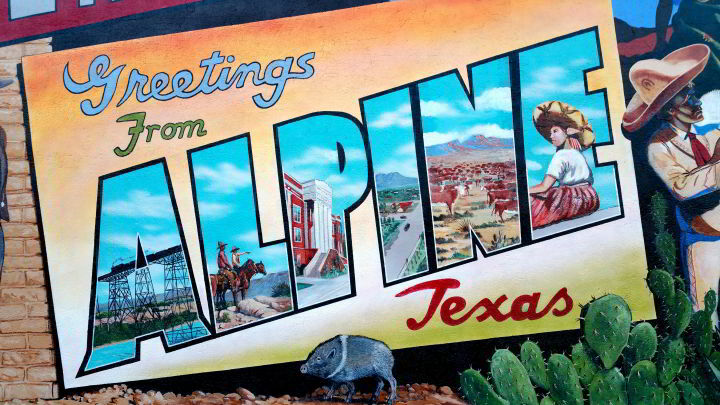 I loved my visit to Alpine Texas. Big Bend National Park was phenomenal. I enjoyed a visit with my friends at Eve’s Garden Organic Bed and Breakfast in Marathon Texas. White Sands National Monument (near Las Cruces New Mexico) was surreal. Tucson Arizona is feeling like home. I’m looking forward to updating more often now that I have reliable internet here in Tucson. My plans for slow travel while living a nomadic life are coming together now. While you are in Tucson, drive 40 miles south on I-19 to TUBAC. This town is where art and history meet. Go into town and east to the Tubac Presidio State Park. The kind people at the Presidio desk can tell you about all about what is going on in this historic and very friendly Town. There is much planned in Octoberand November. Ask for me at the Presidio desk. November 1 is the Day of the Dead which begins with a cannon shot, many activities at the Presidio Park, a parade through the Tubac streets, and a bonfire at the statue gallery. I look forward to meeting you Carolyn, and learning all about Tubac!